Weeks after Obama begins lifting sanctions, Khamenei's orders for an 'economy of resistance' carried out in blockade of American goods. US President Barack Obama just two weeks ago began lifting sanctions on Iran in the wake of the nuclear deal, and in response Iran has initiated an economic step of its own - a blockade of US imports. Iran's Ministry of Industry, Mine and Trade announced on Saturday via the official PressTV that it has begun acting on Iranian Supreme Leader Ayatollah Ali Khamenei's orders issued in a letter last month, and is implementing the blockade. Minister Mohammad Reza Nematzadeh, who is tasked with the ministry, said in the announcement, "we will implement the blockade on imports of American goods in a directive." That directive was issued by Khamanei in a letter in late October to Iranian President Hassan Rouhani. Nematzadeh noted the letter included an outline for creating an "economy of resistance" and blockading US goods to be economically independent as part of Khamenei's conditional approval of the nuclear deal. 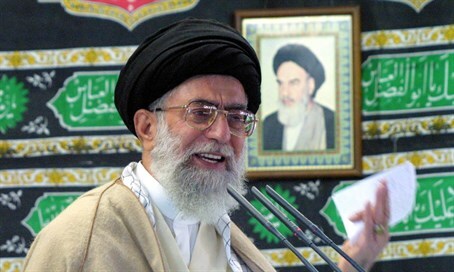 Khamenei ordered the Iranian government to avoid "unbridled imports," and fastidiously monitor US imports. In response, Rouhani wrote back that he would follow Khamenei's orders. However, there appears to be at least two major American companies that won't be affected by the blockade - Coca-Cola and Pepsi. Both "have local bottlers and distributors in Iran, but they say they have nothing to do with the American brands," according to the Iranian state press. A US State Department official was asked on Monday to comment on the blockade, but responded, "we’re not going to comment on every remark attributed to the Supreme Leader," reports the Washington Free Beacon. The dismissal would seem to indicate that the US government intends to ignore Iran's continued open hostility. That hostility was put on display again on Monday, when the Iranian parliament voted to continue "Death to America" rallies held nationwide on Fridays. At least 192 out of 290 voting Iranian parliamentarians voted for the rallies. "The martyr-nurturing nation of Iran is not at all prepared to abandon the slogan of ‘Death to America’ under the pretext of a nuclear agreement,” said a group of the parliamentarians in a statement. The nuclear deal was in fact sealed in July just days after "Death to Israel" day in Iran, during which American flags were also burned by millions in cities throughout the Islamic regime amid chants of "Death to America."